Multicenter datasets are increasingly utilized in pediatric cardiovascular research. In this chapter, we discuss the rational for linking information across data sources, and describe different linkage mechanisms which enable analyses not possible with individual datasets alone. Pediatric Congenital Cardiac Surgery in New York State 2006–2009. 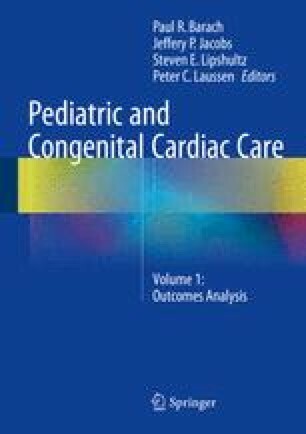 Available at: http://www.health.ny.gov/statistics/diseases/cardiovascular/heart_disease/docs/2006-2009_pediatric_congenital_cardiac_surgery.pdf. Accessed 7/10/2013. U.S. News & World Report’s Annual Ranking of Best Hospitals. Available at: http://www.rti.org/besthospitals. Accessed 28 May 2013. OptumHealth Congenital Heart Disease Center of Excellence. Available at: https://www.myoptumhealthcomplexmedical.com/gateway/public/chd/providers.jsp. Accessed 28 May 2013.